There is a lot of conversation around various sources of pollution but many of them have no context so you really can’t get a mental grip on how serious the problem really is. Below is a chart we built with data collected by the University of Calgary. We hope it will help you put things in perspective. This data is specific to Canada in 2015 and while the numbers are shown in the outermost ring and in the table below, we believe that most cold climate first world countries will have very similar ratios in other countries. The one notable exception may be the MINING & UPSTREAM OIL & GAS segment shown at the very top of the outer ring. That segment is likely smaller in other countries like the UK, Argentina and the United States. 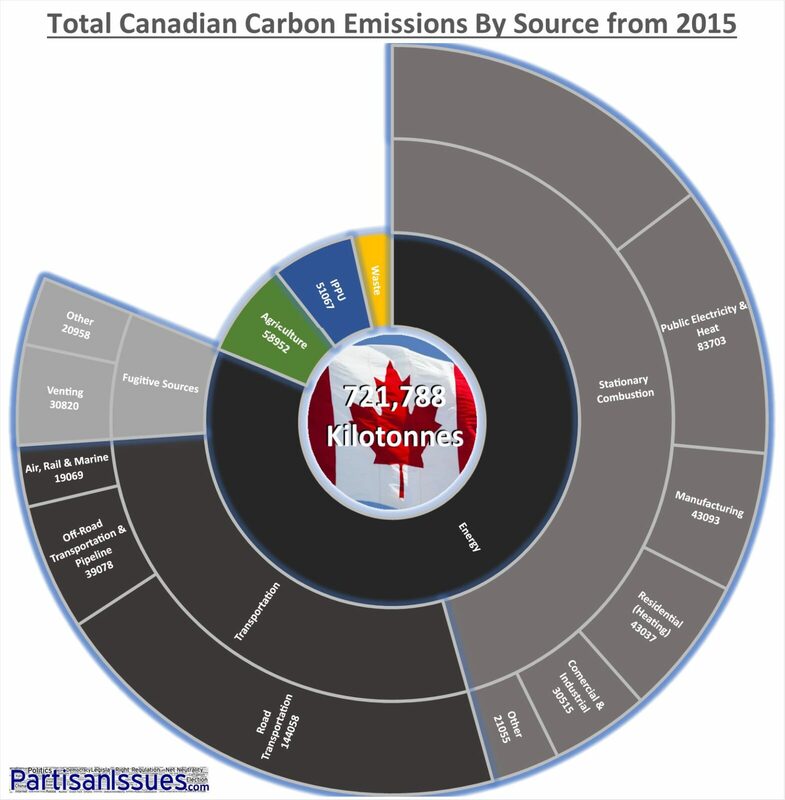 Are the numbers literally kilotonnes of carbon? I’ve read that methane emissions are worse for the environment then carbon dioxide emissions. I guess CH4(methane) and CO2(carbon dioxide) would have the same amount of carbon. These numbers were taken from the Canadian Federal Government by the UofC. I read (likely the same articles as you) in the Daily Oil Bulletin this week about Methane. I think the argument for tracking Carbon is that Carbon is a product generally agreed to be the “culprit” these days and even if Carbon itself it not a big problem, it is a valid proxy for things like CH4 (methane) that are ‘bad’. Meaning that if you reduce carbon output you are likely reducing many other things as well, including particulate matter and dangerous fugitive gases.